Hi! 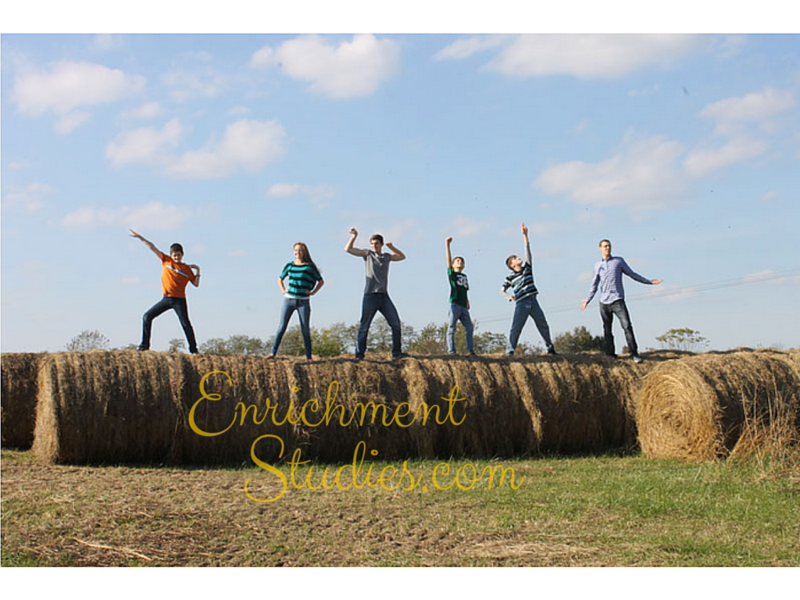 I’m Erica Johns, and these are my six awesome kids. My husband Dave and I started homeschooling way back in 1997, and over all these years I’ve learned quite a bit about what gets done, what falls through the cracks, what never makes the cut into the budget, and what tools I need to make home education successful. Studying composers and artists never seemed to get done like I imagined it would, mainly because of time, energy, and budget constraints. We treat you like we would want to be treated: No funny business. Real simple. Everything in your collection is accessible in your member area. It’s easy to understand, easy to use, and always available. We don’t let you forget what you bought or how to get back to it. For most collections you’ll receive a monthly email (for the first year) reminding you of your available resource. We want you to use them! We treat our members right. Members get special deals that others don’t. Once you’re on the inside, we do our best to show you our appreciation. This is a family business, run from home, in the midst of homeschooling our own kids and living life. We value your support and enthusiasm for what we do, and we are always happy to answer questions, hear your suggestions, and help fix any issues that may arise. We treat people like we want to be treated. We’ve combed the internet to find the best available resource, reviewing them for their educational value, variety, and age appropriateness. We also preview the stuff to make sure that any potentially objectionable content is known to parents in advance so that you can determine how to present the material to your children. Yes, you could theoretically find these resources yourself, if you had the time. It generally takes us anywhere from 5-15 hours or more per composer (or artist, or scientist, etc.) to hunt down, evaluate, preview, and present our findings to you, so it’s no small feat! There are plenty of items that we end up not using because of poor quality, difficulty of use, or inappropriate content. With dozens of hours going into each collection, it’s a gigantic bargain for homeschool families at under $15! Just to be clear: When you purchase our resource collections, what you’re paying for is the time and care we’ve put into organizing and evaluating these for you. If you haven’t yet signed up for our freebies so you can get a really good sampling of what the resources are like, do that now. It’ll help you see how easy everything is to use, and how helpful it will be in your homeschool.